Everybody loves custom email addresses, but are they willing to pay for them? Microsoft hopes so. 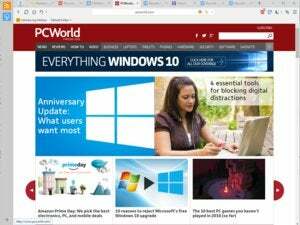 Obtaining a free email account from Google or Microsoft is as easy as pie—but they all have that pesky “outlook.com” or “gmail.com” identifier. What if you want something a bit more personal, like “Ilovemuskrats.com”? That normally means registering a domain, then hosting your own email server. Now, there’s another way: a paid version of Outlook.com, which offers custom domains that you can “own” and use for email addresses. 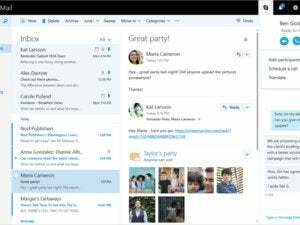 The premium version of Outlook.com, as discovered by Mary-Jo Foley, is now available in preview mode. For $49.95 per year (or $19.95 per year under a limited-time offer), you’ll get five custom email addresses that you can hand out to your friends and family. The Outlook.com Premium email is actually powered by Outlook.com, and your calendars can automatically be shared—so you’ll know, for example, on what day to schedule the big Muskrat Jamboree so as not to conflict with the schedules of your friends Jorge and Olivia. What’s more important, though, is that Microsoft will “buy” an available domain name and reserve it for your email use. Of course, by now, most domains have been snapped up by consumers and brands, so don’t expect to custom-configure an email address around awesome.com, for example. Even if your desired muskrat domain is available, you won’t actually own it; Microsoft will. Otherwise, the email experience should be the same as for any other Outlook.com subscriber. 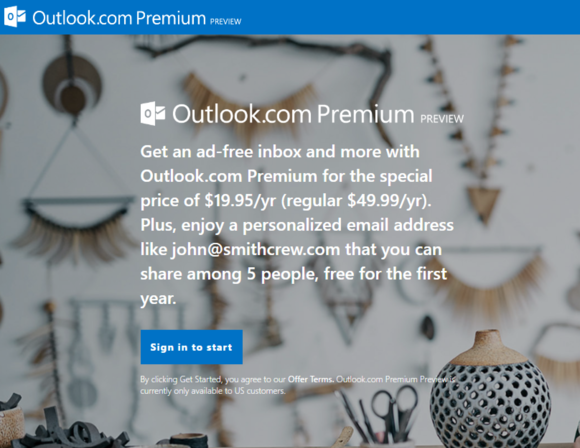 Outlook.com Premium won’t replace the free Outlook.com service, which will remain in place. But if you’d like a custom domain to add a bit of cachet, sharing, and no ads, you might want to check it out. Why this matters: Microsoft’s metrics are now governed by how frequently its users actually log on to services like Outlook and Office 365, while its revenues are more dependent on subscriptions rather than one-time purchases. Let’s face it: a custom email address is sort of gimmicky, and not something everyone’s going to pay for. But it’s an intriguing idea, and hopefully one that Microsoft’s committed to: I mean, after all, once you’ve secured that sweet ilovemuskrats email address, who’s going to want to give it up?